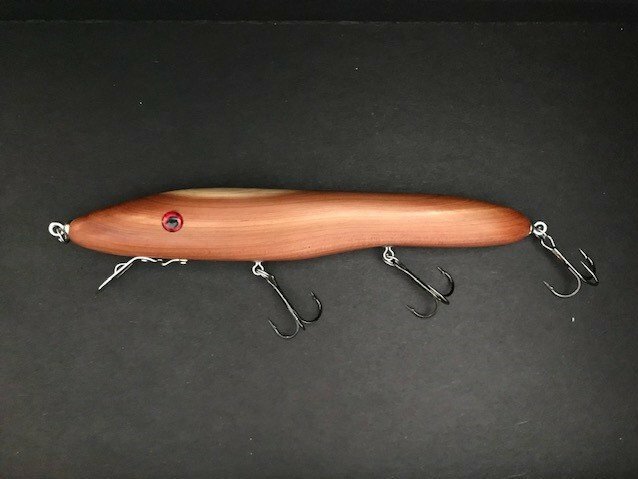 Hand carved from a scrap of Texas cedar wood, this 7 "Muskie lure hovers and dives ~ 3-5 ft with a slow retrieve. Cedar can be difficult to work with due to splitting and cracking. This piece of wood had natural curves which created this feeder fish design. Hoping to try it this year during spring Muskie season!